Personalized red 7 ft x 6 panel configuration market umbrellas are largely favored as a eye level billboard by marketers operating their hospitality business in crowded spaces such as beachfronts, market places or long areas. This umbrella can attract anyone with its large canopy and strong configuration. It triggers interests of onlookers with its special shaped canopy and red color profile. 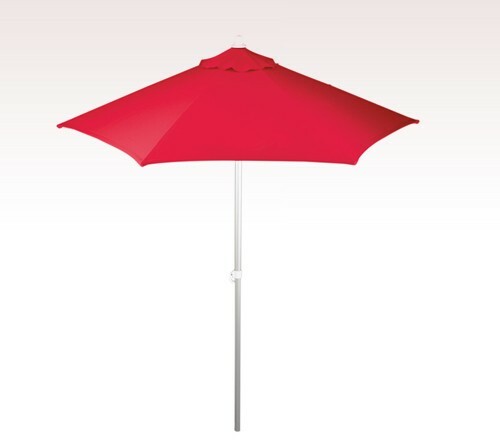 Features –7 ft patio umbrella with 6 panel configuration, lightweight silver ribbed frame, telescopic bottom pole, and no pinch - easy open feature. Heavy 8 oz red polyester canopy with wind vents.